HOUSTON (CNS) — In an action to be more transparent, the 15 Catholic dioceses in Texas will release the names of clergy who were credibly accused of sexually abusing a minor, according to an Oct. 10 statement issued by the Texas Catholic Conference of Bishops in Austin. Archbishop Garcia-Siller recognized that this effort will be most painful for the survivors of abuse and said the Catholic Church remains committed to supporting victims in every way. He echoed other Texas bishops and encouraged anyone affected by abuse to come forward to officials. Because there are more than 8.5 million Catholics and at least 1,320 parishes in Texas, the Catholic conference said compiling the names is a “major project,” noting that dioceses will coordinate with the dozens religious orders that work in many Texas dioceses to also examine their information. “This is not an easy task,” Archbishop Garcia-Siller said. The effort will be more expansive, comprehensive and “we remain committed to being a more transparent and authentic church leadership.” In Fort Worth the diocese published a list of names of clergy alleged with credible abuse in 2007. 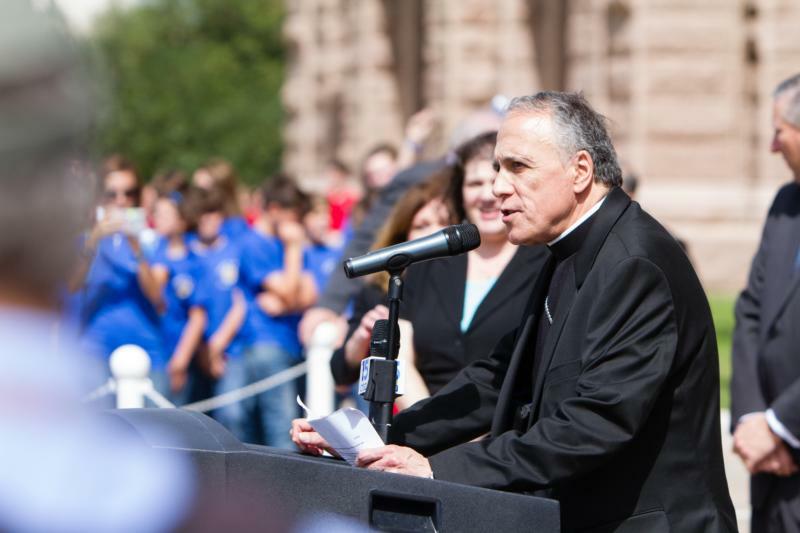 About the upcoming release of names by the Texas dioceses, Cardinal DiNardo said called it “an action in response to the faithful’s call for greater accountability and transparency” in the Oct. 10 statement from the Texas Catholic Conference of Bishops. “We are completely committed to eradicating the evil of sexual abuse in the church and promoting healing among the faithful and those injured by this crime,” Cardinal DiNardo said. These efforts by the Texas bishops, Archbishop Garcia-Siller said, also reflect the pope’s call for truth and accompaniment, or walking with others, in the Church.